We had hoped to have the Jordan Tribute album completed and shipped by now, but unfortunately life had other plans for many of the contributors, and thus we are still working away on this 19 song project. But, I can say with great enthusiasm ..."this album rocks!" I had no idea what to expect once the creative team had been selected and the re-imagining was underway. Well, I am pleased to tell you that this album is something very, very special indeed. Many of the songs have changed shape in such a way that it might be hard to recognize them at first, and others have built upon the amazing ideas of the originals -only to take us one step further into bliss. If all goes well ... we are looking at a late summer release. I will keep everyone posted as we run the final lap. Also, be on the lookout for more audio snippets to show up on the Facebook page (soon). Thank you all for your support and patience, it is so greatly appreciated! Scott and the Sproutless team! The Tributes Roll In .. The Jordan tribute has been moving along nicely, and I must say that the songs turned in so far, well, in a word - "wow". This album is going to be extremely different from the original and incredibly engaging for any fan of sprout music. I am quite honestly blown away by the talent and the creative energy that has gone into the reinvention or interpretation of these amazing songs. 1. Jono Grant's version of Wild Horses has already been offered for preview -as per the link on the Facebook page, and Jono is currently helping out with Pat Allcocks version of "We Let The Stars Go". Pat approached the tune from the perspective of a Cowboy song, much like Faron Young or Cowboy Dreams, and I LOVE his version. He played most of the instruments and I am told that his friend Tim has just offered some pedal steel as well. Meanwhile, Jono is adding some of his own ideas and finally he will mix it. 2. A few others turned in or shared (progress teasers), like Nik Newarks remarkable re-imagining of "Machine Gun Ibiza". I'm not quite sure how to describe what Nik has done with this song, but it is beyond inventive. I think he might be a genius, and once you hear it -you will understand what I am saying this. There is so much going on within his framework that it's complexity may have surpassed the original 10 fold. Excellent. 3. Bob Remsteins ideas for "One of The Broken" are wonderful. He is moving the song into a darker territory, much more moody and textured. I've only heard 45 seconds of it, but it's great. Bob penned and performed the song "Spirit Us Away" for the Sproutless Insights album, so of course I expect nothing less than excellent from Bob, and he does not disappoint. 4. Australian studio wiz "Sean Timms" has turned in a demo for his version "Mercy". Sean's piano and thoughtful organ phrasings are sublime and perfectly suited for the southern gospel approach he has taken- which he has accomplished brilliantly. I can honestly say that I like his version better than the original, and I'll bet Paddy will get a real kick out of it too. It's very powerful, emotional and moving. Sean has also managed to bring in a special guest singer to join me (I will release her name a bit later on), and she is absolutely superb! Looking forward to the final version of this tune! 5. Rhodri Marsden. The guy just killed it. His version of "Moon Dog" is beautiful. Everyone will love this, enough said. Other songs have rolled in too, but I will wait to discuss them for the next blog entry. Songs like Rollmo Stars "Jesse James Bolero" and more. Plus, a few bonus songs from Robert LePlar "Mercy", and Adam Unknown's "We Let The Stars Go". Several more bonus songs will be talked about as well. What is a tribute album? Well, Wikipedia has this to say: A tribute album is a recorded collection of cover versions of songs or instrumental compositions. Its concept may be either various artists making a tribute to a single artist, a single artist making a tribute to various artists, or a single artist making a tribute to another single artist. ﻿Back in July the decision was made to write and record yet another Sproutless album in the style of the first two, and although that in its self is "sort of" paying tribute to Prefab Sprout (actually an homage) - it's not quite necessary to pursue this idea further -when in fact it has already been done twice before, and successfully so. Even though, I personally would be delighted to do another original album but, it doesn't quite feel exactly relative now. No, it made more sense to do something a bit more "traditional" - as far as tributes go, especially if this were to be the last and final Sproutless effort. A really cool sound emerged from the Sproutless collective, a personality of it's own ...while chasing another. And what better way to explore that sound further than to apply it to a true blue tribute for one of the greatest pop albums ever created. Prefab Sprout's Jordan:The Comeback (released nearly 25 years ago) is an album that will be admired, played and discussed a 100 years from now. And I suspect as the years roll on (as well as the generations), this collection of songs will be considered every bit as good as George Gershwin or Irving Berlin's best work. And of course George, Ira and Irving have had a million tribute albums laid at their feet. I've heard a few cover versions of various sprout songs over the years, but it was Swedish Band Leader, "Joakim Milder" who really perked my ears with his thoughtful and beautiful jazz interpretations of Paddy's work ("Quoted Out of Context"). Joakim's tribute album truly paved the way for the next Sproutless effort. It should be interesting to say the least. And I suspect in some ways it could end up sounding like an alternative version of Jordan, one which flew in from a parallel universe. I can't wait to see what everyone (artists) will dream up, but I know one thing for sure ..... I'm going to enjoy it thoroughly. There will only be a few hundred CD's printed up, and really just enough to cover the CD related costs and of course the mechanical royalties to use Paddy's songs, which will go directly to Paddy's publishing company, and I feel pretty great about that! This album will not be available for digital download, streaming, iTunes, Bandcamp ...etc. "CD ONLY". If you have any interest in hearing this album, you may want to keep your eyes peeled for the pre-order link that will be made available soon. Oh, and keep watch for the list of artists involved and which song they will be working with! I'll post that in a day or two. How could we possibly top the first Prefab Sprout Project (Sproutless albums)? Both albums were incredibly well received and meticulously crafted to be the best that we could possibly make. Hmm, I know! What if we were to make an album that mirrored the monumental "Jordan: The Comeback". What If we were to gather up some fresh new themes (much like Jordan had) and build the songs from scratch around those predetermined themes.....well, that might be a good start. And, what if we tried to craft the song style and production to also mirror the Jordan album? .......hmm, that would be a challenge, but, allot of fun to try and do. And so it begins, album #3. I'd like to invite the public and most certainly anyone who was involved with the first project - to join us once again for our second event and third album. This project will be much harder to craft than the first, since every song will be written around the predetermined themes I have chosen, so I would like to start by inviting song writers to submit any music they have written, songs that sound like they could have belonged on the Jordan album. But, really I hope to amass a wealthy stock of great melodies to write lyrics to. It makes the most sense to approach the process this way. We gather the melodies and then we gather interested lyricist to join in and write to the music. And I think this process will be a great deal of fun as well. So, whats the goal here? Well, eventually down the road a crowdfunding site will be used to raise funds to once again hire the great Sprout drummer -Neil Conti, as well as our very own Thomas Dolby Jr., err .... "Jono Grant", who created some fantastic keyboard production for songs like "Bliss", "Wanderlust", "Love Junkie" and "Fall". I'd like to have Jono at the helm of every song on the album, which will create a needed uniform sound -continuous. Other keyboard players are certainly welcome to join in, but think of Jono as the head hauncho of the keyboard dept. And of course I would like to bring back the very talented "Andrea Perry" for even more amazing vocal work. These guys are all pro musicians who make music for a living, and they are worth every penny I can give them! And then of course...pressing the CD's. In addition.. I would like to hear from anyone who might like to see all of the Sproutless albums on vinyl. If I hear from enough folks interested in vinyl, then I just might have those pressed too. I am open to any and all ideas. I will answer any questions (if there are any), and of course "all submissions will be considered". Day one starts now. Thanks for reading this long winded post. I look forward to hearing from you! Act quickly, the hard back copies are a limited number and signed by the author. I can personally guarantee that if you are a Prefab Sprout fan, you will surely be blown away by some of the stories and info contained in this book. Prepare to have your mind blown ...several times over. The new year has brought about many, many positive reviews for both Sproutless albums (Insights from Retrospect, Moveable Feast), and soon a new page will appear on this site, one which will feature those reviews ...from both critics and the kind folks who have purchased and listened to the music. The 1st and 2nd batch of CD's ordered had sold out even before the albums were released, however, a third order (a much larger order) was placed and has just arrived (see the pre-order page for details). The need for reorder speaks volumes, and it also secures the fact that the CD is not dead, and in many cases is "prefered" by the Sproutless demographic - versus digital format. I recently gave an interview to Alan Haber at Pure Pop Radio, and I must say that Alan did indeed ask some great questions. We covered a lot of ground, from Neil Conti to song writing and production for the project, and of course the big question, "Has Paddy and the Sprouts heard it yet?". To hear this interview or to download it, click here or see below. Both Sproutless albums will soon be available on iTunes, CD Baby, Amazon and Bandcamp. Also, looking at some large distribution plans, beyond the scope of the others mentioned. I should also note that the pre-order page (that name will be changed soon) now offers CD's from both Sproutless singers. Both Andrea Perry and I have released many albums over the years, and I would encourage anyone who enjoyed the Sproutless music - to buy the new Andrea Perry CD "Four". It is quite simply "phenomenal". One of my earlier projects, Tiny Volcano - can also be found on the pre-order page. It's not much like Prefab Sprout, but more so along the lines of Jellyfish, XTC, Beatles ad Beach Boys. Another Sproutless album in the future? A 6 song EP? ??????? Well, the album "Insights from Retrospect" (digital version) was released yesterday, and so far the comments, reviews and general response has been amazing! The 2nd Sproutless release, "Moveable Feast" will be be along shortly, and although I originally had planned on offering both albums on the same day, I quickly realized that would not be fair to all of the respective song writers and musicians involved with both albums. So, lets let this 1st release sink in a bit and then we will spring the other on you! Both albums are equally exceptional. Once the 2nd release has come and gone, not to worry ...the fun doesn't stop there. After the first of the year - be on the look-out for several remixed songs. These remixes will be dramatically different from the album versions, and a few other surprises along the way. Also, a PDF will be made available on this site, which will offer all the lyrics for both albums and short bio's on all the the contributing writers and musicians- including photos and relative stories and insights pertaining to the project from the beginning..
New Name, New Cover, New Release Date! As the days roll on and the music nears completion with all the post production, performances, mixing and mastering .... there is only one word that comes to mind, "Sproutless". 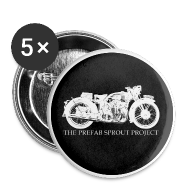 Sproutless has taken the place of The Prefab Sprout Project, which was really just a battle cry or a call to arms for all those interested in Prefab Sprout. It served the purpose to get the attention of those who came aboard this creative project and contributed to the labor of love that pays great homage to our beloved "Prefab Sprout". Sproutless is the official band name for this massive project, and the cover to the left makes a whole lot of sense! This cover design was created by the gifted writer, musician and graphics artist, "Adrian Fitzsimon". Adrian also contributed the song "Fall" to the album. The photo was taken by pro photographer, Christoper Lindhorst. And as you can see....the album title for the original project album is called, "Insights From Retrospect". The Bonus Album, also "Sproutless" - will be called "Moveable Feast", and will offer a similar cover (Adrian will tweak in some way). The target release dates are as followed. 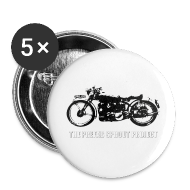 Now that the news has spread all over the world that a new Prefab Sprout album will be released on October 7th, I think that it is paramount that people realize that The Prefab Sprout Project is a dedicated fan site. We are in no way connected to the actual band Prefab Sprout. The music created by this fan project was not written or performed by the actual Prefab Sprout or Paddy McAloon. This project is 100% fan created! Click here to be redirected to the Prefab Sprout FaceBook page. With that said, bring on the sprout music! And bring on the fan created music as well! Christmas looks to be very good indeed! Project Update #2 "Bonus Songs Set For CD Release"
One of the difficulties of managing a project of this size is the sheer volume of great songs that are submitted yet have to be set aside or ultimately discarded, as there is only so much room available on one album or even one "CD". So, the idea of releasing "bonus songs" as a way of getting just a few of these great songs into the fold and hopefully into the ears of the project's audience was a practical and realistic way to go. But, as time marched on and Neil Conti finally sent over his impressive drum performances and ultimately kick-started the actual recording process for many musicians involved (which is currently in motion), it seemed that the news of the new Prefab Sprout album stirred the pot quite a bit....which made for people interested in what we were doing with this project, which also lead to even more song writers sending in material to the website....even when the doors had been all but closed to any further songs, as we simply already had plenty to work with. Thank God that these writers paid no attention to the sign on the door, because the quality of music that they were sending in was a bit more than "impressive". It was "stellar", and it needed to be included. Period. Well, after reviewing all the material at hand, it was clear that we had the makings of a truly exceptional 2nd album .....that should be released on CD as well as the 1st one. So, the numbers were crunched and the budget would allow the 2nd project album to see a CD release date of early November 2013. In fact, 'that' release date applies to both CD's. Some of you might be asking, "why not just combine both CD's for a double disc release, in one package?" 1. It's actually a tad more cost effective to do it this way (believe it or not). 2. I like the idea of an addendum album. Sort of like "bookends". And since Neil Conti is the resident for only one album, it would sound very odd to have that many drummers mixed up one album. IMO. I'm incredibly excited about this new prospect, and the fact that even more great material from as many great writers will be included and introduced to the projects audience .....well, that's just fantastic. Soon.... I will start to introduce these new writers and musicians by way of the projects Facebook page, and there will be one more peek into the new albums talent, with the posting of the song "Signs of a Life Well Lived" -- to the SoundCloud page. I'll keep everyone informed! And please do be looking out for the song I just mentioned, as it is CRAZY GOOD!! !